This project in Zambia takes a holistic approach to conservation. We believe that sustainable and long-term conservation can only succeed if people in general, but especially those living around protected areas, realise the benefits of conservation and are fully involved in the conservation efforts. This project provides you with an introduction to conservation using the holistic approach. We believe that sustainable and long-term conservation can only succeed if people in general, but especially those living around protected areas, realise the benefits of conservation and are fully involved in the conservation efforts. This volunteer programme will introduce you to our three departments, Wildlife Rescue, Resource Protection and Community Outreach. There will be a mix of talks on specific conservation topics with practical hands-on experience of conservation. 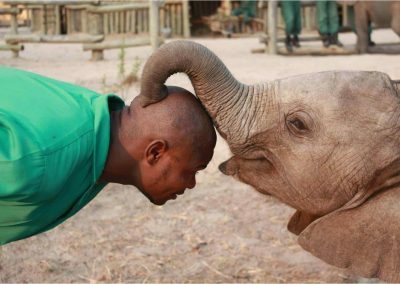 You will stay at the camp at our Elephant Nursery where you will help us conduct our Behavioural Observational Study of the small elephant orphans. 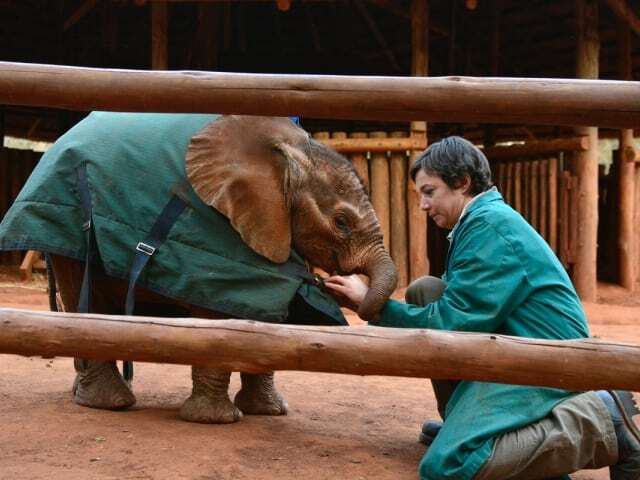 It is a hugely interesting project where the elephants are learning to live life in the wild without their mother’s guidance, they learn from each other, the keepers and from trial-and-error. We study their behaviours and interactions both in their stable and out in the bush – it is incredibly interesting and often very amusing! 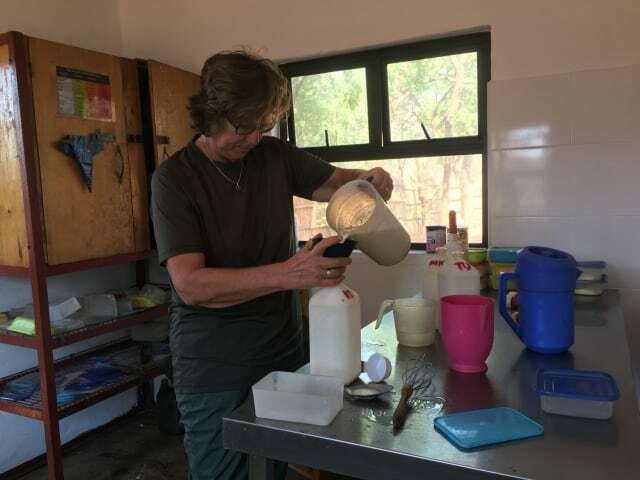 You will also help prepare the elephants’ milkbottles, collect browsing and help with play-ideas for when they are in their stable, as well as do talks to the visitors at the Nursery. 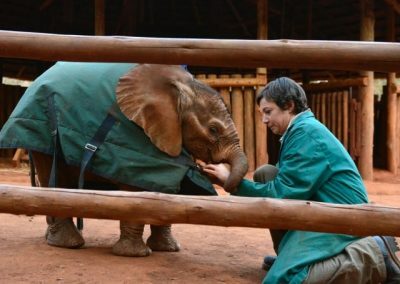 In order to promote the successful release of the orphaned elephants back into the wild, it is important to keep the contact with humans to a minimum. There will therefore be no direct contact with the elephants, we ask that everybody keep a 10-metre distance, except for the keepers who care for the elephant orphans around the clock and form close family-like bonds with the elephants which is essential to their emotional recovery from their initial traumas. You will also be working on gathering information on biodiversity using various techniques, e.g. by using camera traps, as well as teaching the children in local schools about animals and conservation, and how to avoid human-wildlife conflicts, through our conservation curriculum. We use creative and playful ways to facilitate the learning, like making sock-animals or paper-plate masks to tell stories – the kids love it! Lots of laughter when the little elephant orphans are playing around – always hugely amusing! Teaching school kids about animals and conservation. Sitting around the camp talking about wildlife and conservation issues. Catching your first wildlife picture with camera traps. Assist in our behavioural study on the smallest elephant orphans as they recover from their initial traumas of being separated from their mothers and learn about life from each other. Prepare their milk bottles and generally help out at the nursery. Teach school children about animals and conservation using our active and creative lesson plans. 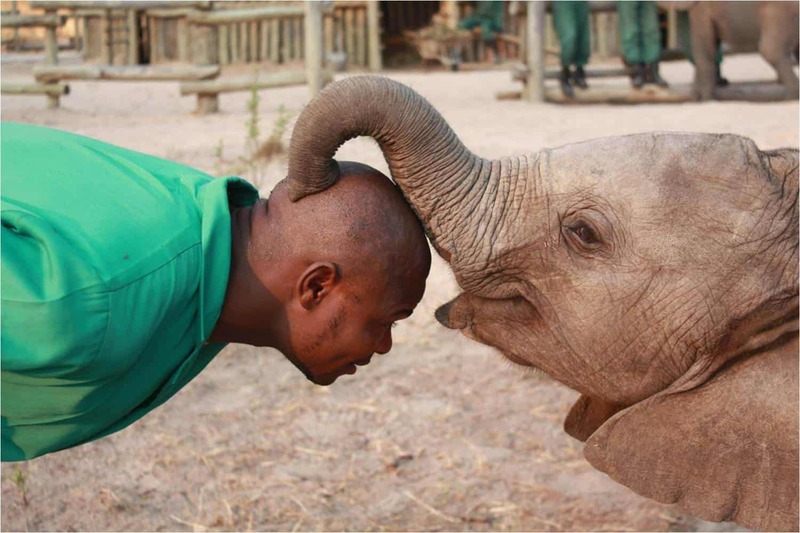 Learn about the work of the anti-poaching units and fire-fighting team and their challenges. 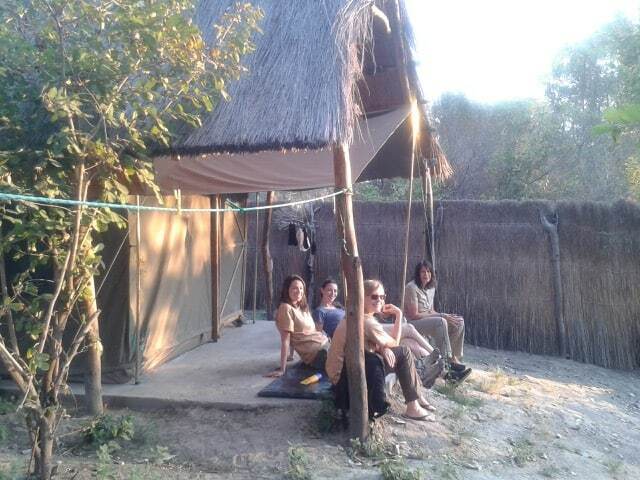 Volunteers will be staying in our tented camps at Lilayi Elephant Nursery. Usually each volunteer gets their own tent but might have to share if the need arises. The camp is basic but well established with some home comforts, like seated toilets and hot showers – which really makes a difference after a long hot day in the bush. There is a kitchen where volunteers can cook their food over a gas cooker and sometimes there will be cook outs around the BBQ. Refrigeration is limited so the diet is predominantly vegetarian. 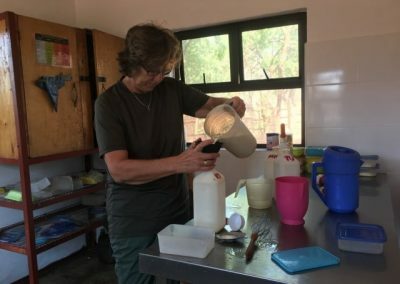 The project provides food for three meals per day, but the volunteers are welcome to supplement with some comfort foods like chocolate and crisps. Clean drinking water is available in at camp unlimited. We use solar power to charge phones, laptops and torches. However, our solar system is not extensive, so charging facilities are limited (particularly in cloudy weather) and will prioritise the project communications and work necessities. We employ full-time staff in all the camps in various capacities, including for security, so the camps are never unattended. Age range: 18-99 years. We do allow in certain cases 17-year olds with parental consent. Group size: Max. 2 volunteers at a time. 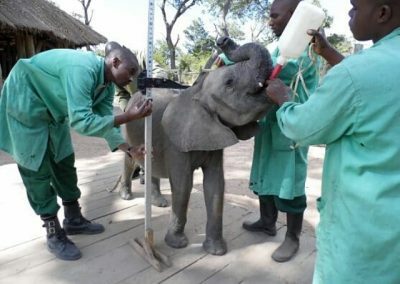 Lilayi Elephant Nursery is based in the outskirts of Lusaka. 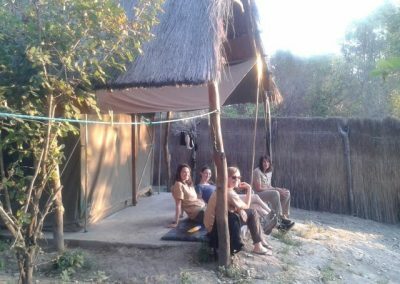 Camp Phoenix at the Release Facility is based in the southern part Kafue National Park, about 7-8 hours drive from Lusaka. Mukambi Camp is based in Kafue National Park, towards the middle, about 4-5 hours drive west of Lusaka. The cost to participate in this project is USD $2,500 for the 22 days. This will be used to cover the costs of the volunteers during their stay and the remainder will be donated to the project. Local staff whom prepare volunteer accommodations, maintain the grounds, and secure the property is safe and secure. How to get to the project? We will pick you up at the airport or hotel within Lusaka on the project start date. In order for the volunteer supervisors to be able to plan their time we do try to stick with the set dates, though we can be a bit flexible in certain cases. Is it always 22 days or can it be shorter/longer? This is a set programme of 22 days and is difficult to make shorter. The programme is incorporating all three departments of the organisation, it therefore is a packed programme which is difficult to cut down into fewer days. In certain cases we do accept shorter-time volunteers and the cost is calculated accordingly. 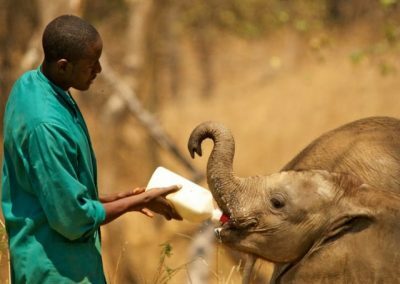 Longer term volunteers are easier to plan for, however as a business visa to Zambia is only 30 days that is the maximum amount of days we can do. $2500 seems like a lot of money – why is it so expensive? Yes, $2500 is a lot of money but it also covers a long period of time, 22 days. 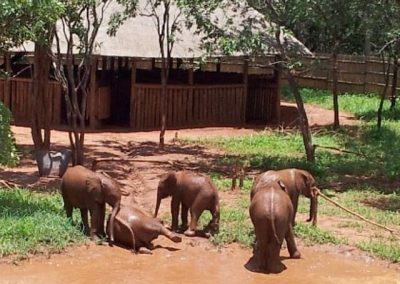 Most holiday destinations would cost a lot more for the same time period for accommodation plus food – and with us you get an amazing experience, you get to make a real difference, plus you learn a lot about elephants, wildlife conservation, and so much more. 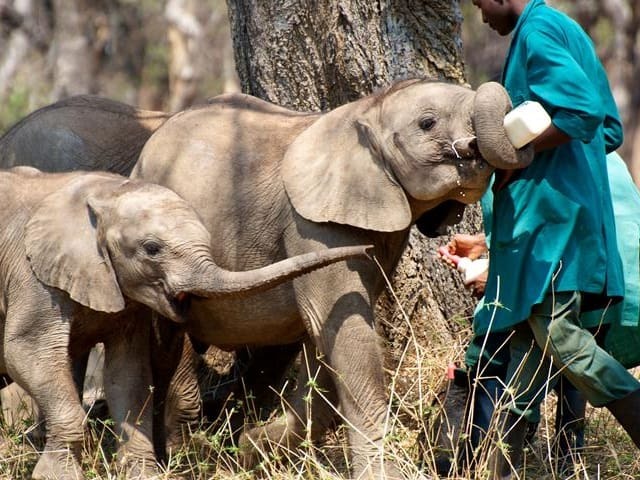 “Working at this project has been an amazing experience for me as it is what I love to do, and I have gained so much knowledge from being at the Kafue Release Facility especially about elephants, which are incredible animals. I have also found that all the keepers, scouts, and staff are really welcoming and have made my time at the KRF even more incredible. I am extremely happy to be a part of the team and to have gotten the opportunity to come and work with such an amazing organization. I hope to come back in the future once I have finished my degree because I will really miss it.” – Kelly McDonald, August 2018 Volunteer. “The approach taken by this project in research, community outreach, and wildlife protection has inspired me, I would love to learn more and find ways to better my country in its approach to wildlife conservation. 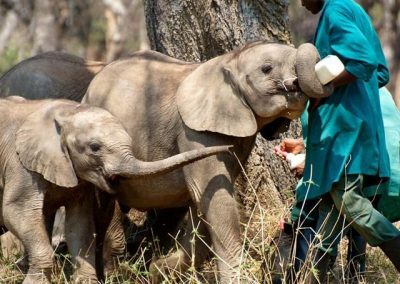 I am glad to have been a part of such an inspiring organization protecting elephants, and to have gotten the opportunity to observe and learn about these incredible animals.” – Muriel Simukonda, August 2018 Volunteer. I understand participants need to pay a financial contribution in order to take part in this project.